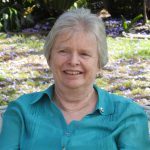 “We are witnesses of a new global world emerging and one which is being confronted by a number of ongoing events which can generally be identified as ‘crises’,” writes Good Samaritan Sister Clare Condon. We are witnesses of a new global world emerging and one which is being confronted by a number of ongoing events which can generally be identified as ‘crises’. Let me name a few. There is the ‘Euro crisis’. At the moment, it is particularly centered on Greece. It, along with the 2008 financial collapse, has brought into question unbridled capitalism. There is a call for a new economic paradigm. Neither regulation alone or free markets seem to be able to provide the answers that are needed in this time. There is the ongoing ‘climate change’ debate. The earth is a limited planet. It is now recognised that there is only a finite number of resources to provide for a growing world population. In the past week, the earth’s population exceeded seven billion. Also in the past week, particularly here in Australia, there has been the ‘Qantas crisis’, where a significant Australian company took unprecedented action. The travelling public was left stranded when the whole airline was shut down. This travelling public were wondering whether they were dealing with a national essential service or an international ‘global’ competitor. Finally, the revolutionary technological explosion of the past 30 years has changed everything. Here we have witnessed change at a rate never known before in human history. Communication has been transformed; one can connect with almost any part of the world in a split second. Electronic communication has defined our lives as ‘truly global’. Such transformation can easily leave the older individual, like myself, feeling helpless and powerless at this global phenomena, and it leaves me wondering what lies ahead! How am I to negotiate these dramatically changing environments? For the younger generations, I suspect that these changes are a taken-for-granted part of their world. They have known nothing else but constant change. Yet, I often sense in them also a fear that everything seems so big, so immediate and so fast. The word ‘crisis’ really contains within its meaning ‘opportunity’. I ask, can we individuals, along with the others around us, see opportunities for contributing to a better world; to a global community rather than only to see our own sectarian nationalist interests? Can we too be big in our thinking and our ideas, and find ways to engage with the issues important to us with creative energies and new paradigms? In October, the Pontifical Council for Justice and Peace issued a response to the ‘financial’ crisis. Strangely, but perhaps in reality, this response could hold a key to the new economic paradigm that is needed in the global world, where enough is enough and where even greed is named for what it is, plainly and clearly to see. The Christian message, that is the Gospel and the Church’s social teaching, might just have the moral principles and theories to lead to a new economic order for this strange new world. Yes, strange as it might seem, the Catholic Church is one of the few truly global organisations, where at the same time it is grounded firmly in local communities. In theory, it has the potential to be a leader in searching for new answers for social and economic reform. However, if it is to be credible, it needs to engage first in its own organisational and structural reform; a reform which must be founded clearly and unequivocally on Gospel values and the vast depth of the Church’s social teachings. With such an agenda, the Catholic Church and its members could again speak with authenticity in our rapidly changing global environment. Is your Catholic identity being stolen?